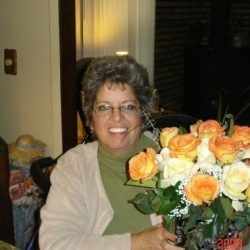 Tammy Jean Harrington passed away on August 24th, 2018 at her home in Algonac, Michigan. At the moment of her passing, she was surrounded by so many family and friends, a testament to her ability to draw folks together as a listening ear, voice of advice, and a comforting shoulder. 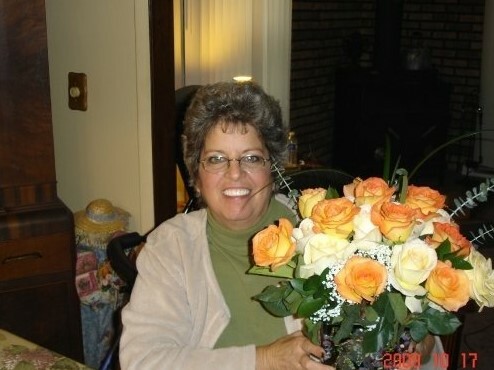 Tammy was a spirited and strong woman with a warm smile and a penchant for fun. The last years of her life were plagued with a terminal illness, yet she still was able to bring family and friends together. Tammy made a home for gatherings with her partner-in-crime Wayne Harrington Sr. They married on September 6, 1975, and they loved and laughed together through forty-three years of marriage. Tammy and Wayne had three sons named Wayne Jr., Wes, and William. A tight bond was built as this family of ﬁve escaped to their cabin up North for snowmobiling, playing cards, singing, dancing, canoeing, and celebrating the special moments of their lives. Her boys describe her as an “amazing woman, strong, and willing to ﬁght for everyone she loved.” She taught them to love, to work hard, and to be the rock for their families, but most importantly she taught them to be family. Tammy, Wayne, and the boys spent nights sitting around campﬁres or their wood stove generating more warmth than a ﬁre could alone. Tammy guided her boys to attract fun and caring women, and their family of ﬁve grew as Wayne married Nichole, Wes married Andrea, and William married Jill. Tammy opened her home and heart to her daughters-in-law, and together they made joy of being together. In time, Tammy was blessed with four beautiful grandchildren: Alicia (Wes’s daughter), Austin and Jenna (William and Jill’s children), and Iris (Wayne and Nichole’s daughter). Alicia, the eldest grandchild, was the ﬁrst to inspire Tammy’s pride. She called Tammy her “Nama,” and they built a special bond over twenty-three years. Then, Austin (13 years-old) and Jenna (8 years old) joined the family and spent quality time with their grandparents adding voices around the campﬁre and riding golf carts. Just in time, Iris proved that you should never give up on building family. As the youngest Harrington (1-year-old), she will listen to and retell Tammy’s stories for the longest time. Finally, Alicia made Tammy a great grandmother with the additions of Parker and Hayden Gerow (ages 4 and 1). These grandchildren will all keep Tammy’s smile alive. Tammy’s warm smile was accompanied by an abundant garden full of tasty tomatoes and vibrant ﬂowers. She cared for these green spaces as a way of caring for her family. The tomatoes were canned and remade into Tammy’s famous spaghetti, which warmed many tummies. The ﬂowers brought hummingbirds that inspired her spirit as the life of the party. She loved seeing hummingbirds as they enjoyed the sweetness of life, and she too enjoyed the sweeter things: singing and dancing until the sun came up. Tammy would sing, “When I die and they lay me to rest, I’m gonna go to the place that’s the best.” What she didn’t realize was that she built “the place that was the best” for all the people she touched in her life.